We have been providing multi-disciplined Engineering Design services across the, Advanced Manufacturing & Technology, Pharmaceutical & Healthcare, Energy & Environmental and Gas sectors since we were founded in 1978. In the early days, we adopted the principle of keeping the core engineering disciplines under one roof to improve communications, encourage teamwork and promote the cross-fertilisation of ideas and we still abide by this principle today. 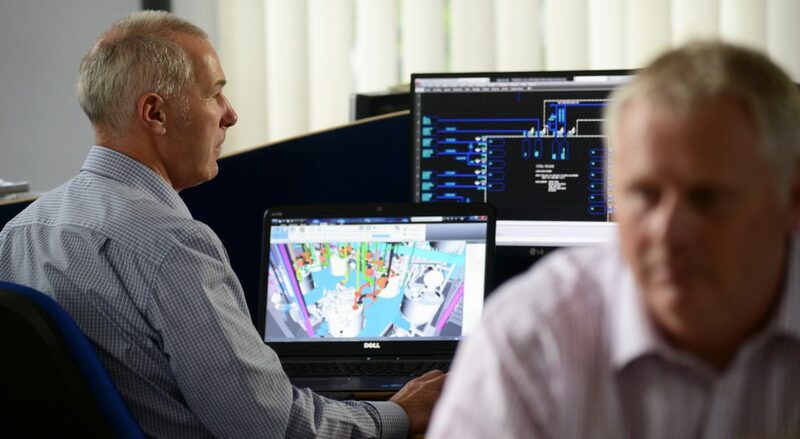 Whilst we are content to pick up and develop projects from any stage, we are most happy as a business when we are able to analyse and solve complex engineering problems and develop solutions from a blank sheet of paper right through to a fully functioning plant or system. Being located in the North West, we have always been able to recruit from a pool of talented engineers brought up in an area where all industry sectors have a key presence. Many of these sectors are heavily regulated and we have always been considered experts in the field of legislative compliance and process safety. Given that we operate across such a variety of sectors, we are better placed than most of our competitors to take learning from one sector and apply it to the benefit of another unrelated sector. A tangible example of this is the introduction by PM PROjEN of some of the core process safety principles/activities (including Hazop, Hazid, DSEAR, functional safety, relief stream design) which are common in the more established sectors but are not actively applied in the emerging sectors such as Bioenergy. Whilst having all of the experience, skills, systems and processes to support clients with their engineering challenged is not totally unique to PM PROjEN, we do subscribe to a collaborative style of business that is rare amongst similar businesses. This approach is key to us retaining long term relationships with our clients that supports our consistently high repeat business rates.